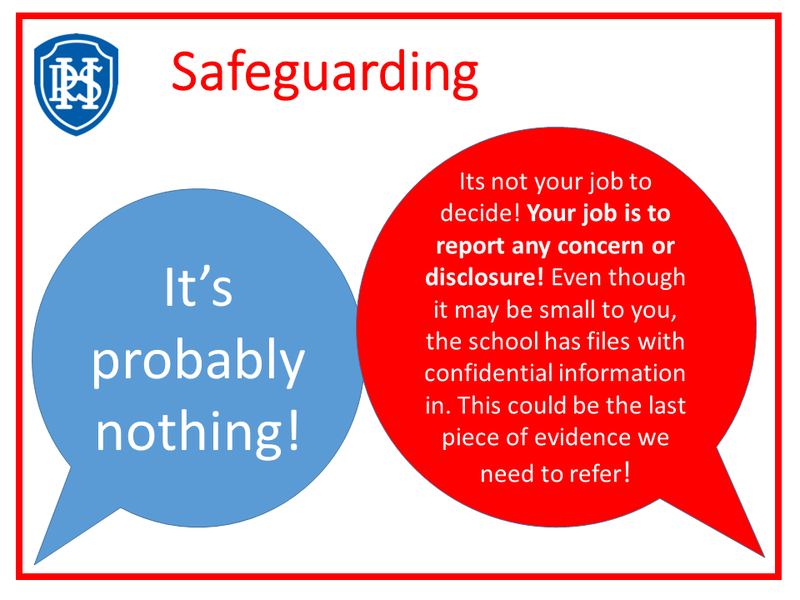 Safeguarding covers a variety of different elements of school life. In the past, safeguarding focused on child protection but now it has developed and actually covers a number of different things related to keeping children safe. At Rushmere Hall, attendance, behaviour, online safety and family support all come under the safeguarding umbrella alongside child protection. We know that getting early help for families or children who are struggling gives people the best chance of success. Our school aims to be pro-active with regards to safeguarding and we have a team of people – the Family Liaison and Inclusion Team - who react and respond to events that occur as well carrying out work with children and their families. 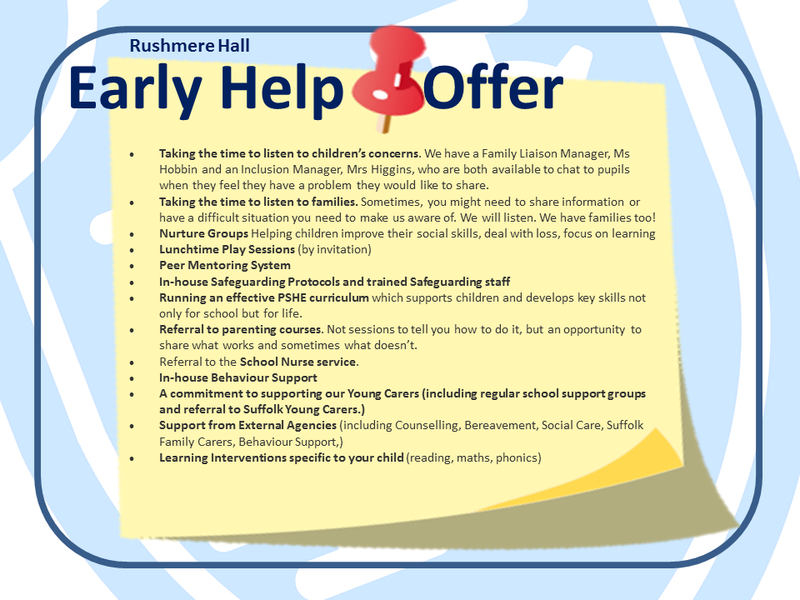 We also have an early help offer which outlines the services we can provide here at school. 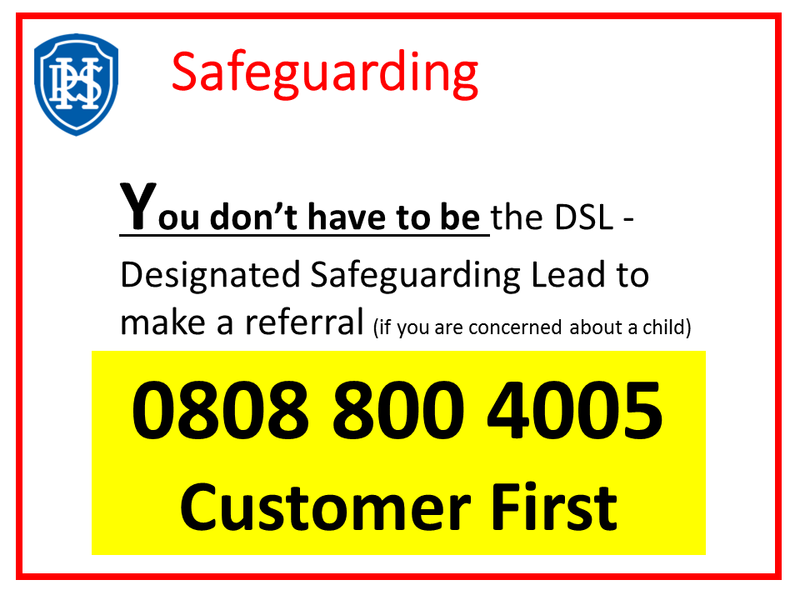 One key message that parents need to be clear about is that if you have a concern about a child's well-being you must contact the school as soon as possible and make contact with our Designated Safeguarding lead. Or outside of school hours, there is a number below which you can phone to report your concerns. 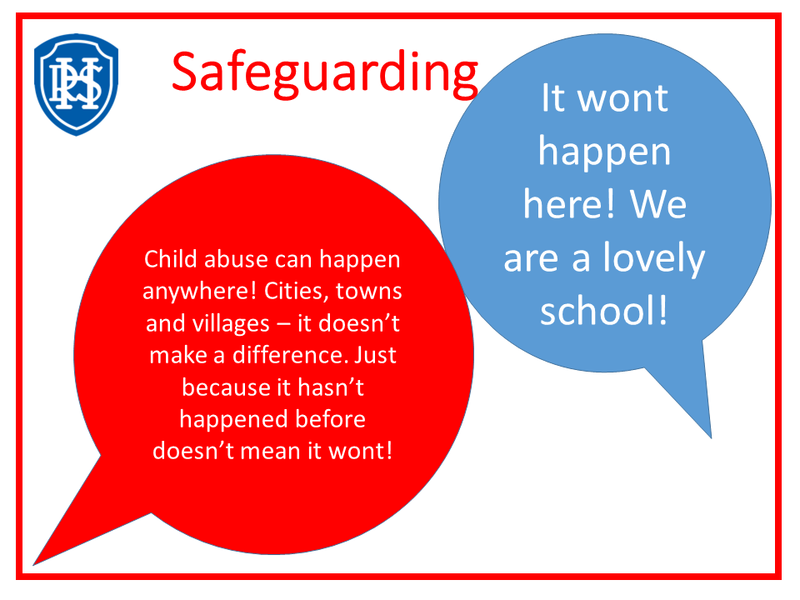 Our school places high priority on the protection and safety of our pupils. In the event that you need to make contact with the school, we have designated trained staff available for you to talk to. We call these people DESIGNATED SAFEGUARDING LEADS. They have access to a range of services, including Police and Social Services as well as other external agencies. PLEASE CALL THE SCHOOL on 01473 726027 and request to speak to Rachel Hobbin or Helen Birbeck. Is your child concern or worried about terrorism and the recent events in London and Manchester? Click here for excellent information from the NSPCC. The DFE have also produced guidance click here to view.